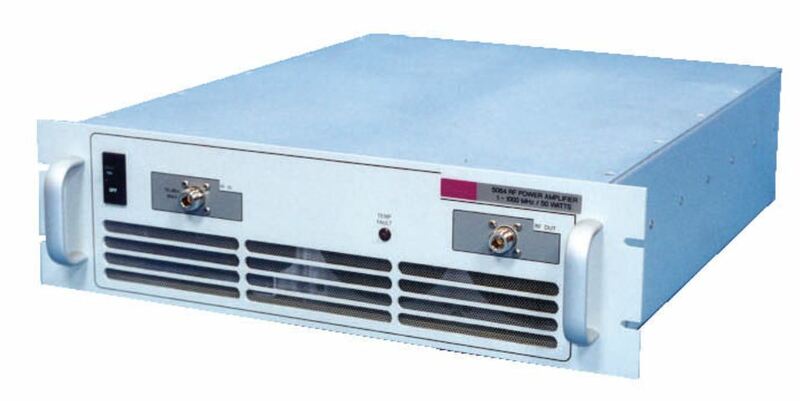 Ophir RF’s 6010 broadband high power RF amplifier is ideal for NMR applications. It operates in the 20 to 1000 MHz frequency range and has a saturated output power of 125 Watts (min). It also has +52 dB (min) small signal gain, 50dB (min) blanking, <5uS blanking speed, -20 dBc (typ) harmonics @90 Watts, >-60 dBc (typ) @90 Watts, and much more. Additional specifications can be found on the available datasheet.